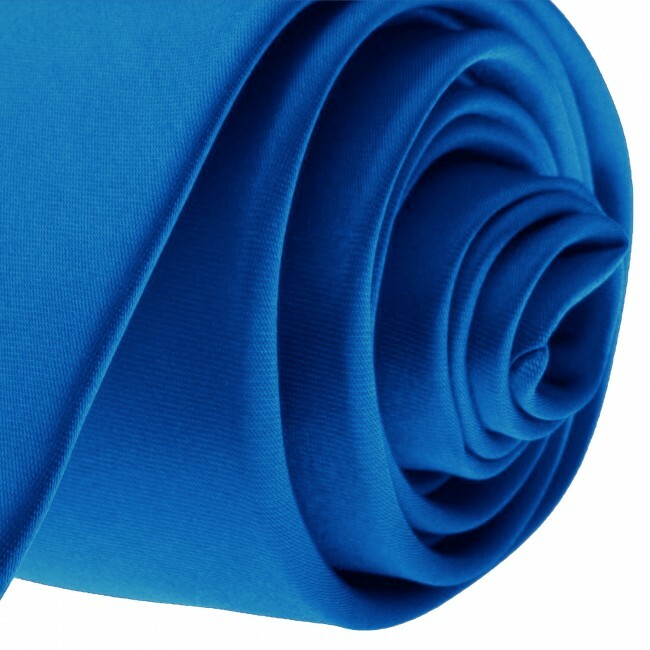 This traditional solid light royal blue tie comes in a classic 3.5 inch width and standard adult length of 57 inches long. 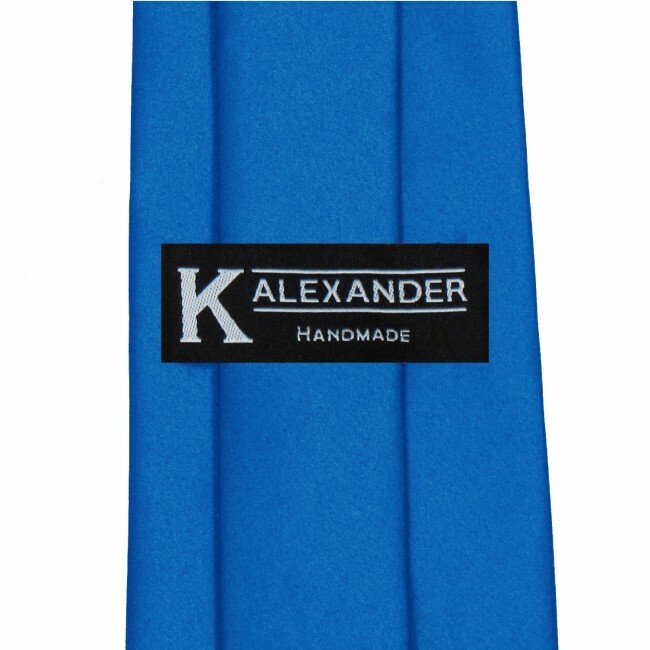 If you are looking for classic regular width tie, with just the right amount of sheen, this K. Alexander solid light royal blue tie might just be just what you were looking for. 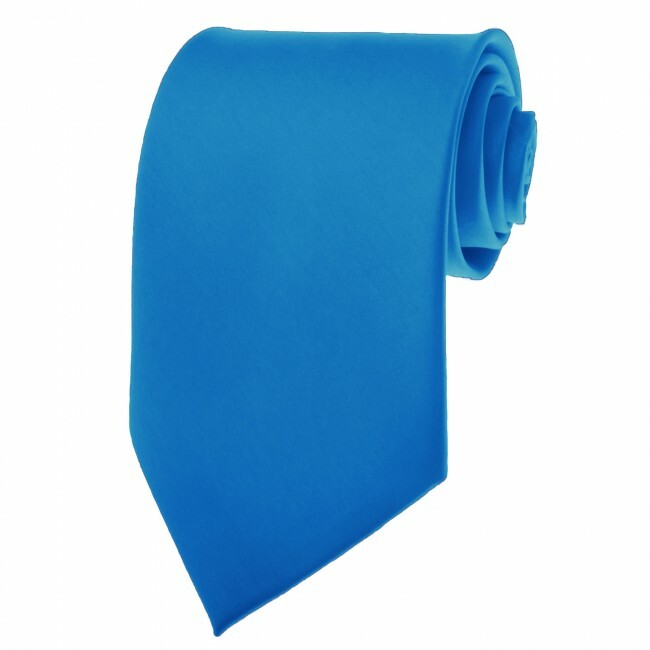 Solid light royal blue ties are available in many different shapes, shades and styles. 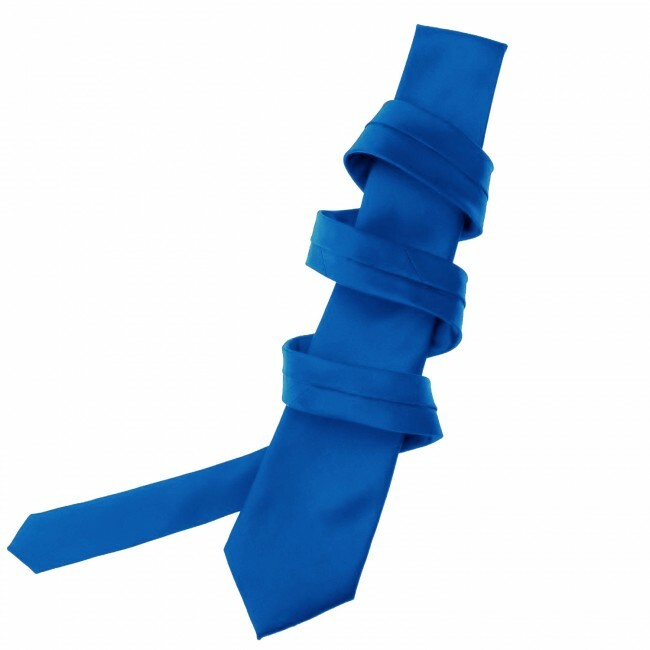 This is an exquisite light royal blue tie. The material is satin finished with a low to medium amount of sheen, which means it does have some shine, which creates variation in the exact shade/brightness that is shown at any given moment, depending on the amount, type and angle of the light hitting the tie. If the exact shade of this necktie is a concern, please read our color matching section to help. The K. Alexander line uses a satin that tends to have less sheen or shine than some of the other more shiny brands. 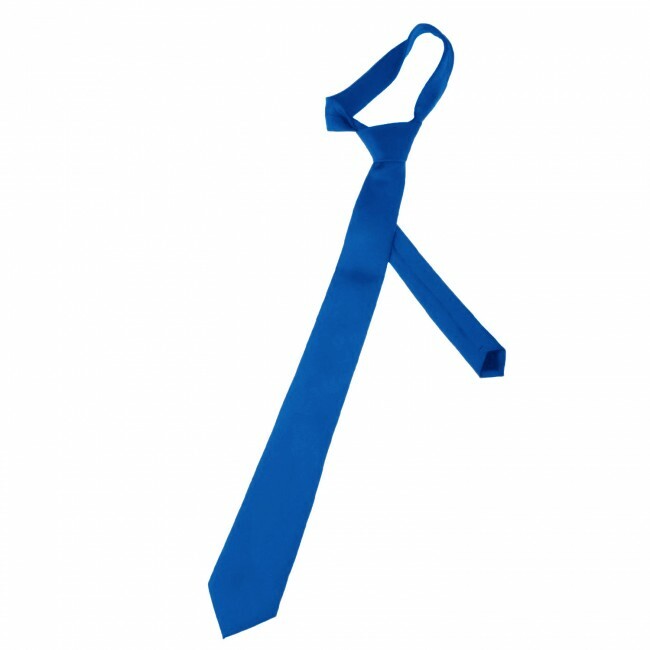 This light royal blue necktie has a traditional tie shape and is perfect for someone looking for a classic solid royal blue tie. If you are looking for something slimmed down and trendy, you should check out our selection of 2 inch and 2.75 inch skinny light royal blue ties.